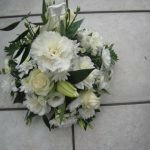 Jacaranda Designer Florist is based in Leigh delivers daily to Leigh, Pennington, Lowton, Golborne, Hindley Green, Culcheth, Croft, Risley, Atherton, Astley, Tyldesley, Mosley Common, Boothstown and nearby areas for a small delivery charge (see our Delivery Page). Place your order either by calling us 01942 606666 or order anytime on the online page. 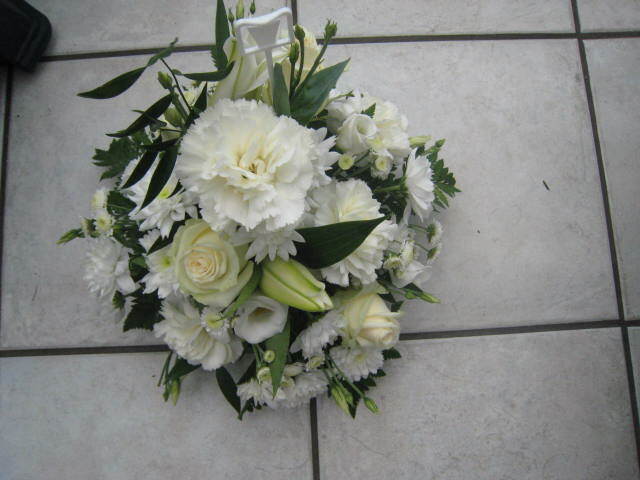 This is a secure page by Direct2Florist but all orders on this site will be made and delivered by us. 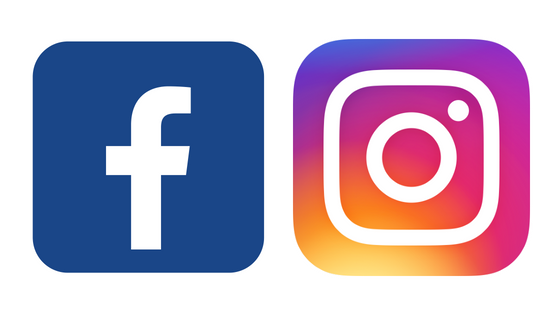 Alternatively either telephone, email, facebook message us. We are open till 7pm for your orders. New Designs For Spring are our Hat Box Collection (see our Hat Box Page) for more designs…..
A selection of pale pinks and whites with a touch of lilac freesias and foliage all arranged in a large hat box. This is a perfect gift can be just left as it is and when the flowers have faded you have a memorable keepsake hat box. Hat boxes are constantly changing so colour may vary from photo. A striking combination of rich cerises and pale pinks and white surrounded by fatsia leaf foliage all arranged as a hand tied bouquet in a matching box in water. 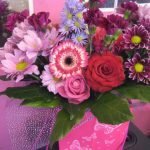 A beautiful collection of cerise and pale pink gerberas with glossy folded aspidistra leaves all arranged as a hand tied bouquet and placed in a cerise gift box in water with wrapping. A more modern design for the younger mum! A medium hat box filled with pink, white and cerise germini, lilies, carnations and foliage. A stunning display to send this Spring. A gift bag filled with pale pink gerbera and cream roses with pale pink single carnations and foliage all arranged as a hand tied bouquet wrapped with matching wrap and placed in water. Gift bag may vary from photo. 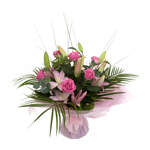 A mixed assortment of lilies and roses with lush green foliage all wrapped with palm leaf foliage and arranged in a hand tied bouquet in a gift box with wrapping in water. One of our most popular designs suitable for any occasion. A medium hat box filled with beautiful cerise and pale pink gerbera with seasonal flowers and foliage. This design is in oasis in the hat box. A perfect gift to send to someone. A selection of pinks, cerise and white seasonal flowers wrapped with foliage all hand tied and placed in water in a matching gift box with wrapping. One of our most popular flower bouquets. Bright cerise gerbera, lime shamrock , lilies and other seasonal bright flowers all made into a vibrant hand tied bouquet. This design comes in a cerise gift box in water. Let us choose the flowers and foliage and arrange in a matching gift bag in water with wrapping. A lovely little gift just because…..
A medium basket filled with funky pink gerberas, pale pink roses, white carnations, seasonal flowers and foliage. A very popular basket to send to anyone this Spring. 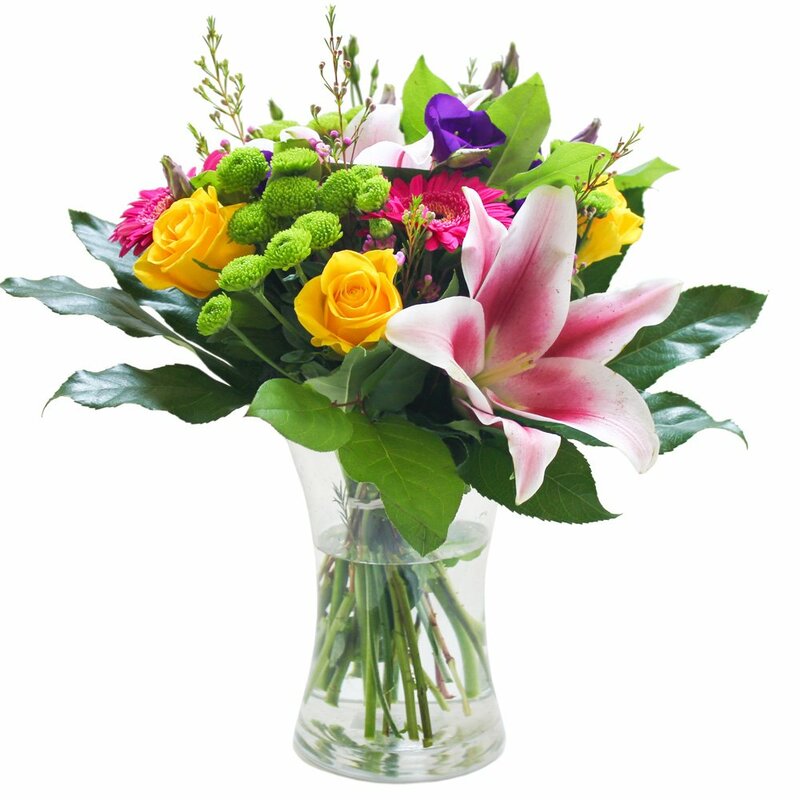 A mixed selection of seasonal blooms and foliage all arranged in a glass vase and gift wrapped. A perfect gift to send. A beautiful combination of green shamrock blooms and white spider chrysanthemum with alstromeria and lemon tip foliage surrounded by large fatsia leaves – all arranged as a hand tied design in water in a black gift bag. With such a wide array of flowers available let us choose the perfect blooms and arrange in a gift wrapped bouquet with matching ribbon edge and bow. Or choose your colour palette when you order. Just a few of our more recent ones…. 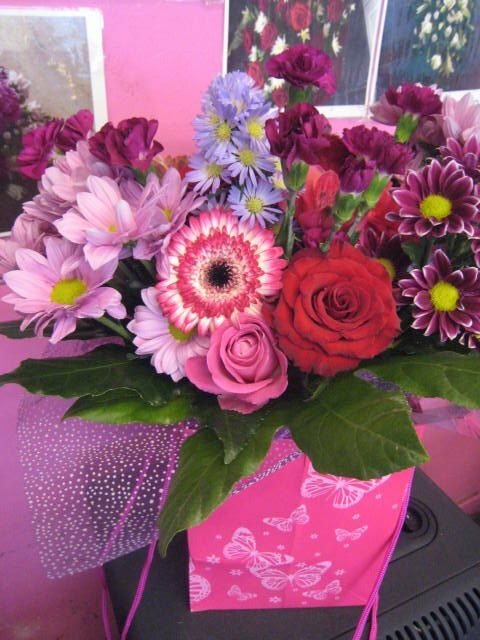 Need to send a simple arrangement then a round posy arrangement is ideal. Also suitable for placing on a grave. This simple arrangement can be made in pinks, whites or yellows.